Good news puts fat on the bones. … Like cold water to a weary soul, So is good news from a distant land, so says the holy book in Proverbs 15:30. Sitting in Abuja today, the Osun State Governorship Election Petition Tribunal declared senator Ademola Adeleke of the PDP as the winner of the September 2018 elections. Recall that Senator Ademola Adeleke scored 254,698 votes to defeat the candidate of the All Progressives Congress Adegboyega Oyetola who polled 254,345 votes, INEC, however, said Adeleke could not be declared the winner because the number of votes cancelled – 3,498, was higher than 353 by which the PDP candidate beat Oyetola. 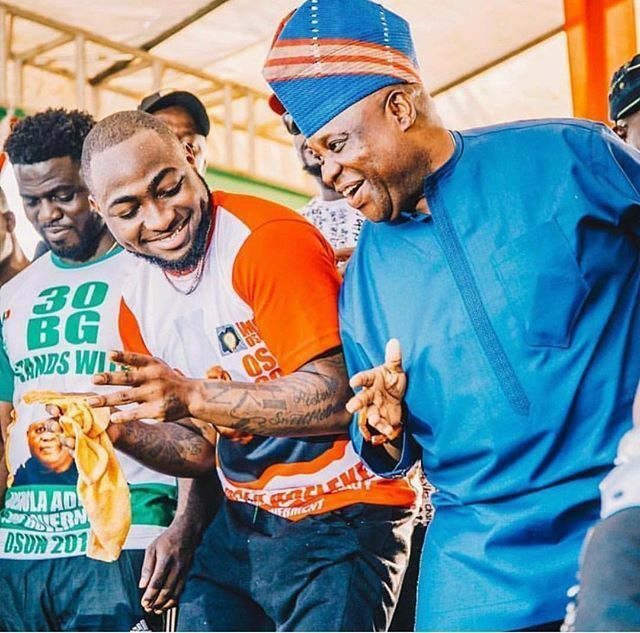 Davido who tirelessly campaigned for Adeleke has since reacted to this good news with a smiley, bringing out its tongue to shame the ruling party after his uncle was declared the winner.